This Wi-Fi IP addresses all industrial WLAN markets. It includes MIMO modules. With MIMO, information is bidirectional over two or more antennas simultaneously using the same frequency band thus providing greater range and increasing throughput, while maintaining compatibility with legacy IEEE 802.11a/b/g devices. 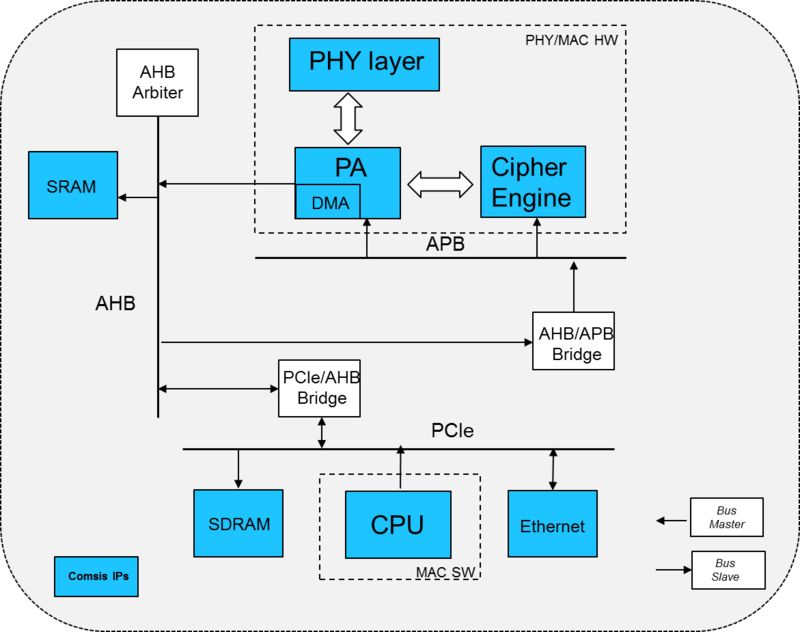 This is accomplished by a combination of enhanced MAC and PHY implementations including spatial transmitter/receiver multiplexing modes and advanced signal processing techniques to improve receiver sensitivity. The IP is currently used in industrial products. A simple deployment is operational at Comsis ready for demonstration purposes. Contact Comsis to book your demo, remotely or on-site. Thanks to a Reference User Manual, a Reference design documentation and FPGA synthesis and simulation scripts, RF daughter card and MKII motherboard, the IP is easy to install and handle as illustrated hereafter. 802.11a/b/g/n/p/e/i industrial feasibility validated on the COMSIS’ FPGA-based MimoKit II platform with (up to) 80 MHz master clock and on 2.4/5 GHz bands. Xilinx FPGA-based platforms implementation in progress.